The Belgian capital featured in 23 feature films and 12 TV series in 2018, a record for a city that is increasingly attracting production companies from home and abroad. Forget any clichés about drab Brussels, the city is popular for its cobbled streets, sweeping boulevards, green spaces and architecture that veers from medieval to Art Nouveau and Art Deco, not forgetting contemporary steel and glass structures. 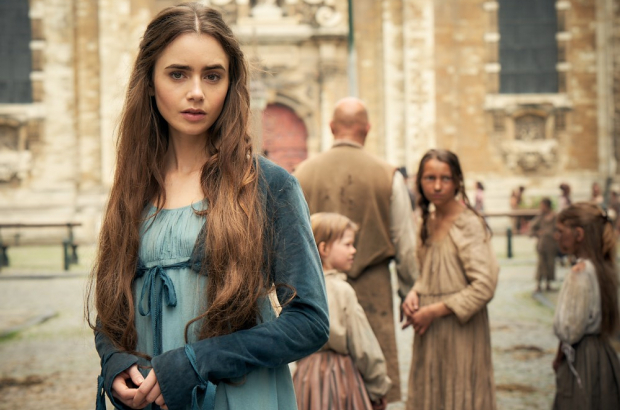 The Victor Hugo classic is bursting with talented actors, from Dominic West and David Oyelowo to Lily Collins and Olivia Coleman. Bringing a combined cast and crew of 70 plus 150 extras to the city required plenty of preparation by the Screen Brussels Film Commission. Responsible for overseeing filming in the capital, it suggested locations and helped with permits and other administrative formalities with the city’s municipalities. Coordinator Emilie Thiry admits that the shoot had a huge impact on the city in terms of the number of people and trucks involved. “It was challenging to make sure everything ran smoothly and that people who lived and worked in the areas being filmed were still happy,” she says. “They were mostly enthusiastic and curious,” she adds. Another BBC production was the award-winning The Missing (pictured), which spent 60 days shooting in Brussels over a six-month period. The search for the missing boy was staged in the woods in Auderghem, while other exteriors were shot in places such as the Marolles, Montgomery and the Mont des Arts. Find Me in Paris, an international series for teenagers about a time-travelling ballerina, made use of Brussels’ grand art museums in its first series. It returned for a second series, using locations such as the Theatre des Galeries and Theatre du Vaudeville. Futuristic Norwegian thriller Occupied also shot part of its second series in Brussels, while French sci-fi series Transferts made extensive use of the city. It’s not only small screen productions that are attracted to Belgium. The Danish Girl by Tom Hooper, The Expatriate by Philippe Stölzl and Bill Condon’s The Fifth Estate were all major films to feature locations in Brussels. While Brussels city is the most popular place for filming, the communes of Ixelles, Schaerbeek and Saint-Gilles are quite sought-after as well as recognisable areas of the EU quarter and the iconic Atomium site. The varied decor, geographical accessibility and multilingual skilled technicians are aided by the financial incentives afforded to production companies through the Tax Shelter scheme, introduced in 2015. International projects can benefit if they have a Belgian co-producer and spend a proportion of their budget here. Producers can also apply for funds at Screen Brussels. On the home front, Belgium’s flourishing film industry is responsible for much of the action, where instead of standing in for a variety of locations, the city can finally take on a starring role itself. Classics from documentaries by Chantal Akerman to recent comedy Les Barons by Nabil ben Yadir and gritty urban drama Black by Adil El Arbi and Billal Fallah show the diversity of the city’s appeal. For the film commission, working with Belgian crew is a different experience as “they know their way around and how things work”, says Thiry. “They have a more precise idea of what we can do for them,” she adds. 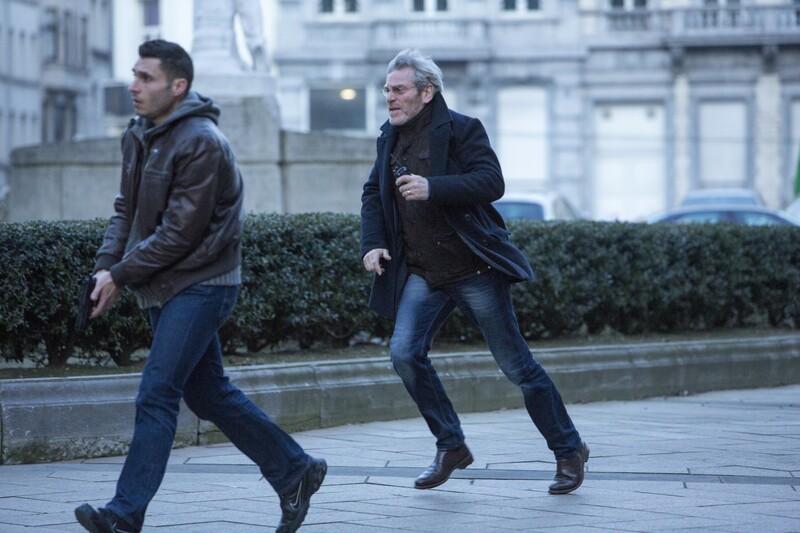 Planned shoots for 2019 include the second season of the Belgian series Unité 42 while the commission is waiting for international projects to be confirmed. So keep your eyes peeled for some famous faces. Brussels is not only a destination for diplomats and politicians!